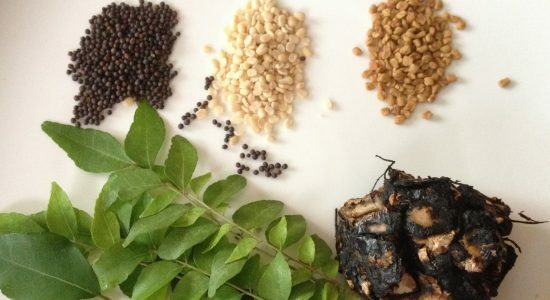 Modhakam (http://modhakam-pillayar-chaturthi-special), Kara Kozhukkattai (http://pidi-kozhukkattai-karamsalted-rice-dumplings) and Inippu Kozhukkattai (http://inippuvella-k-kozhukkattaijaggery-rice-dumplings) for Pillayar Chaturthi have been made in the recent posts. 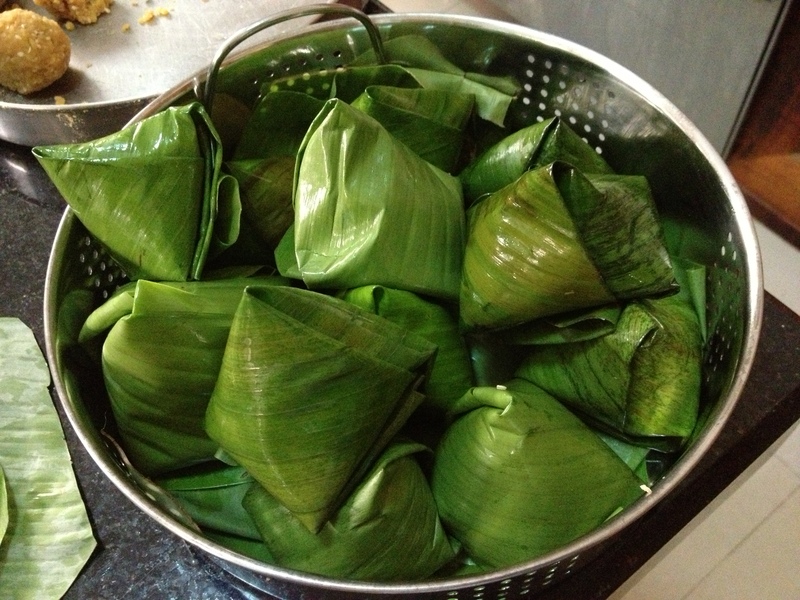 So why not make this Pillayar Chaturthi a fusion festival – with a Tamil-Khmer festive sweet… that which also somewhat resembles our Poorana Kozhukkattai (Dumplings with filling) in preparation and filling! 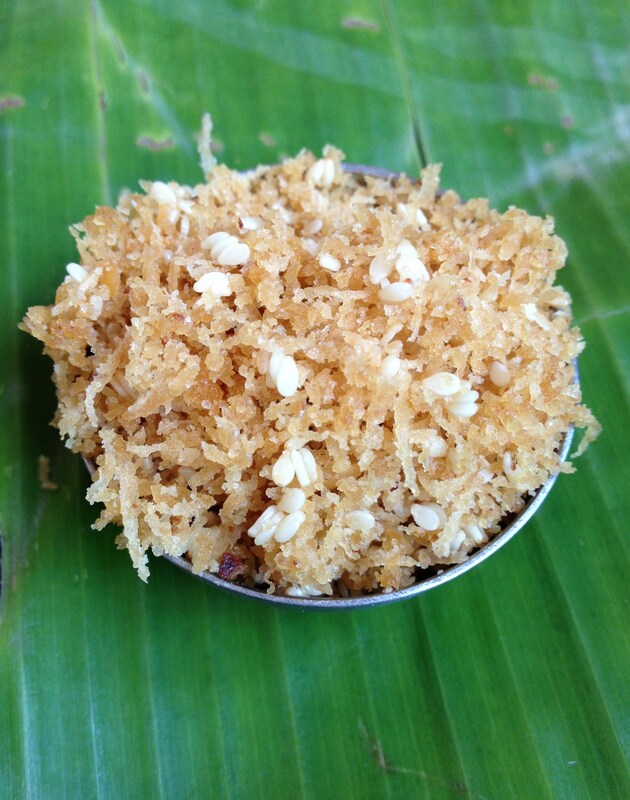 Here is Num Kom – The Cambodian Sticky Rice Cake! 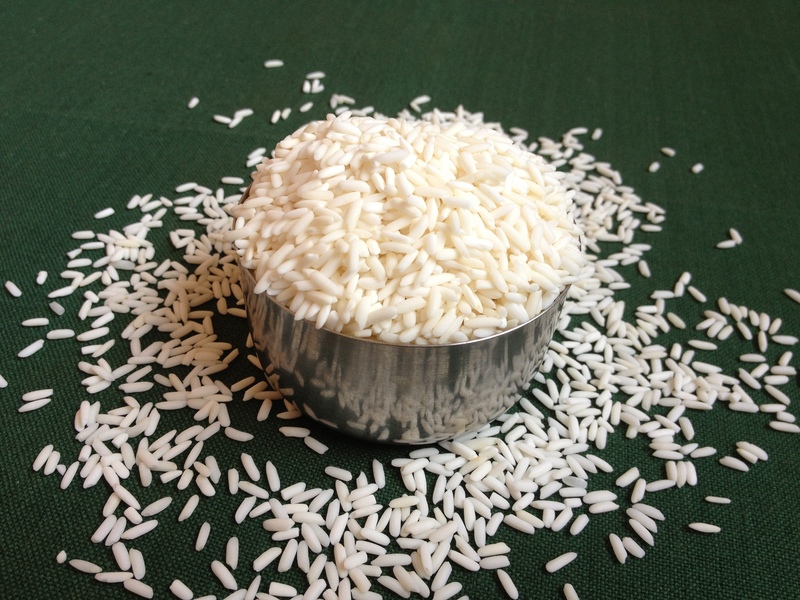 Cambodia with the staple food rice has many varieties of food made with Rice, especially the Glutinous Rice or the Sticky Rice. 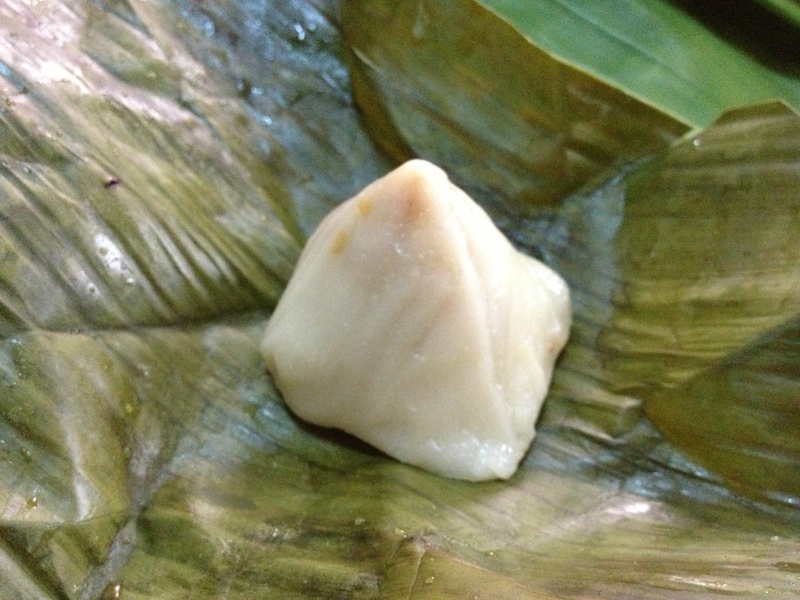 Some of the main delicacies made for special occasions with the Sticky Rice are the different kinds of Rice Cakes. Special occasions can be Weddings, Khmer New Year or Pchum Ben (Festival devoted to worship of ancestors). 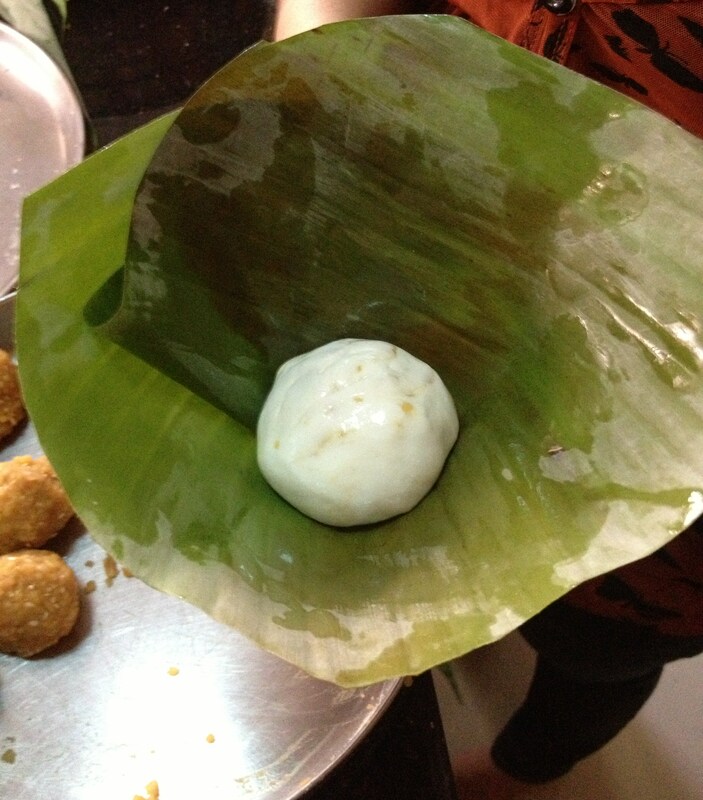 The Rice Cake varieties can be Num Kom, Num Ansom Chrouk and Nom Ansom Chek. Num means Cake in general. 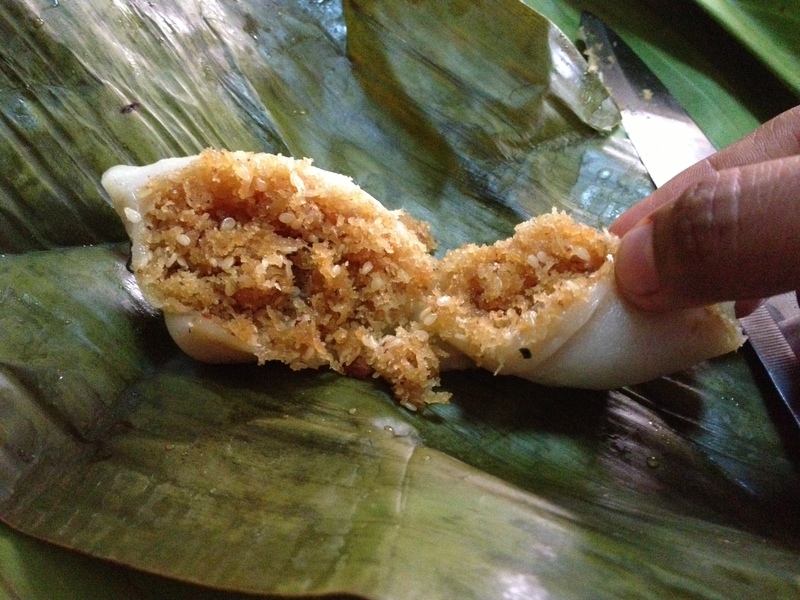 Nom Kom is the Rice Cake with coconut and palm sugar filling. Ansom Chrouk has a filling mainly of pork fat and green bean and can be a main course. 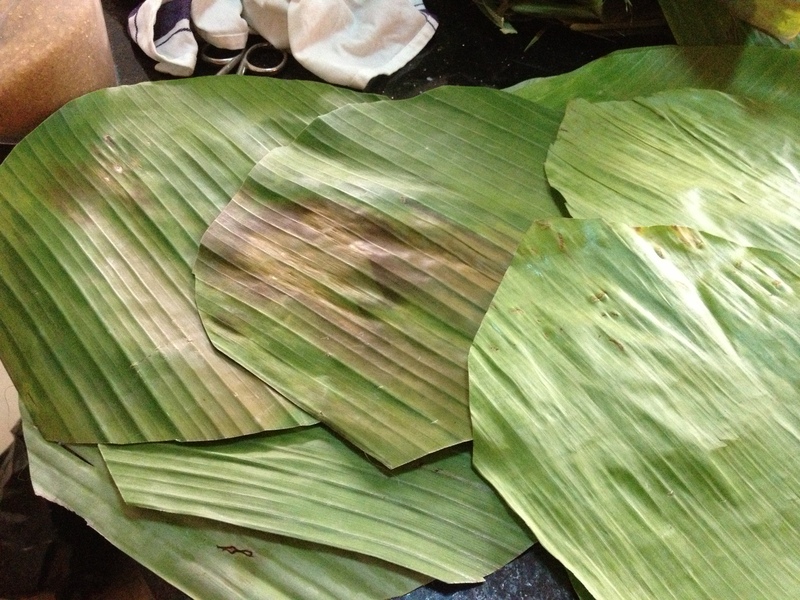 Ansom Chek has a filling of banana and it is served as a dessert. During Pchum Ben – where the ancestors of every family are worshipped – women of the household, young and old sit together and prepare Num Kom. 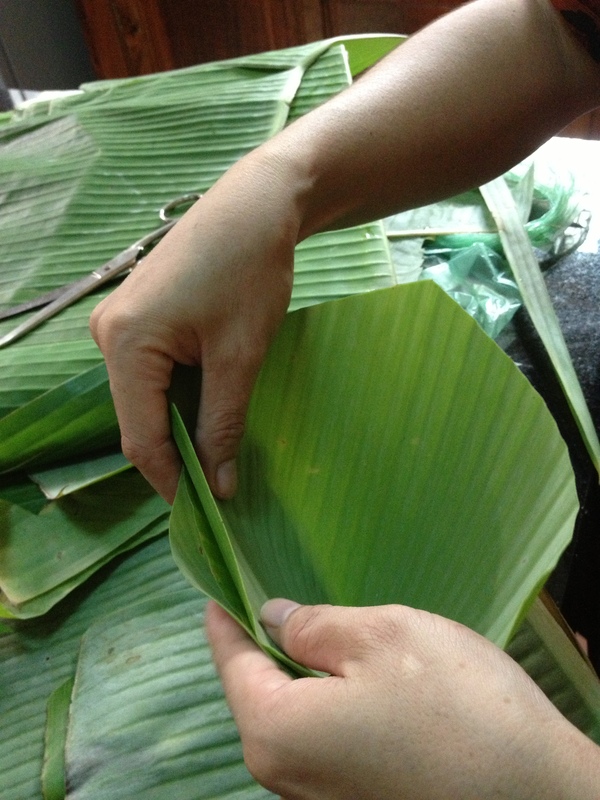 The Rice Cakes require a lot of time wrapping them in banana leaf – folded in a particular pattern. 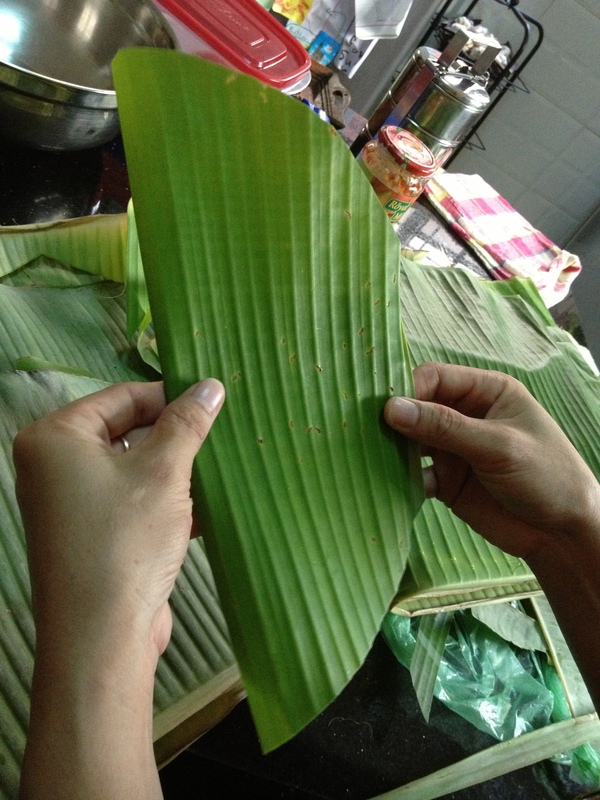 While Num Kom – the coconut filled rice cake needs less time comparitively, there are other fillings to the rice cake – like pork meat – cooking time of which is longer. So, they say the womenfolk sit chatting in the night making hundreds of rice cakes, while the different kinds of cakes get cooked for the next day ceremony. Thanks to http://blog.aseankorea.org/archives/16079 – from which I could collect some interesting information about these Rice Cakes. Special thanks to my friend and one of the pioneer bloggers of Cambodia at a very young age – Keonila of blueladyblog.com for helping me out in the search of more authentic information. Also patiently answering my doubts on the fillings of Nom Kom. She is one of the top 5 bloggers of Cambodia and a social media advocate. Thankyou Nila! And all those other friends who may be reading this – do correct me when I am wrong on information – and please do not hesitate to share your thoughts. 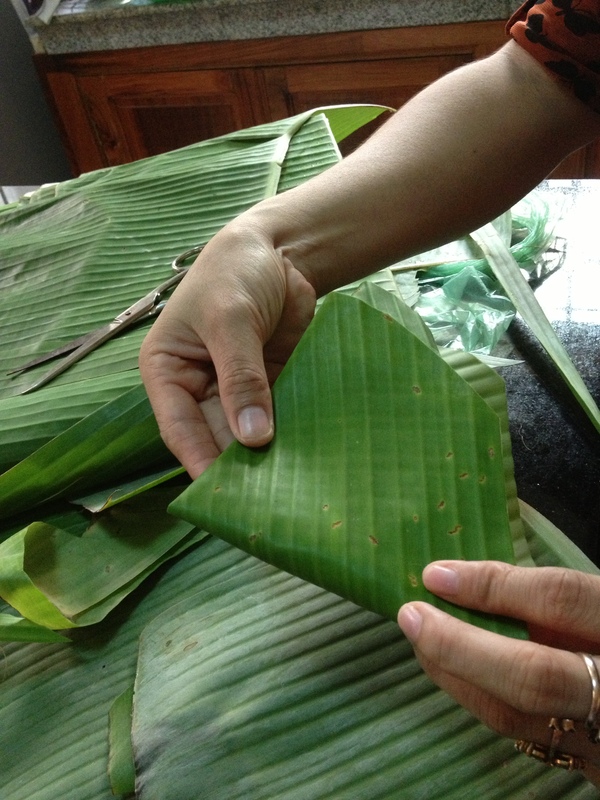 This would help me get a better insight into the traditions and culture behind the cuisine of Cambodia! 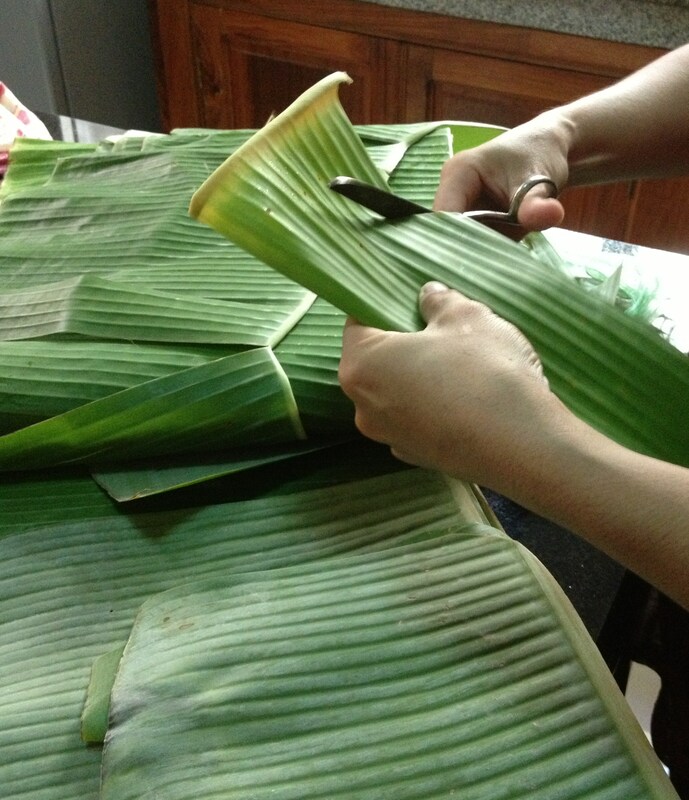 This Rice Cake could not have been prepared without the guidance and helping hands of friend ‘D’, who played teacher in letting me learn this cake – with the taste and twist (literally) of banana leaves. Thank you ‘D’. 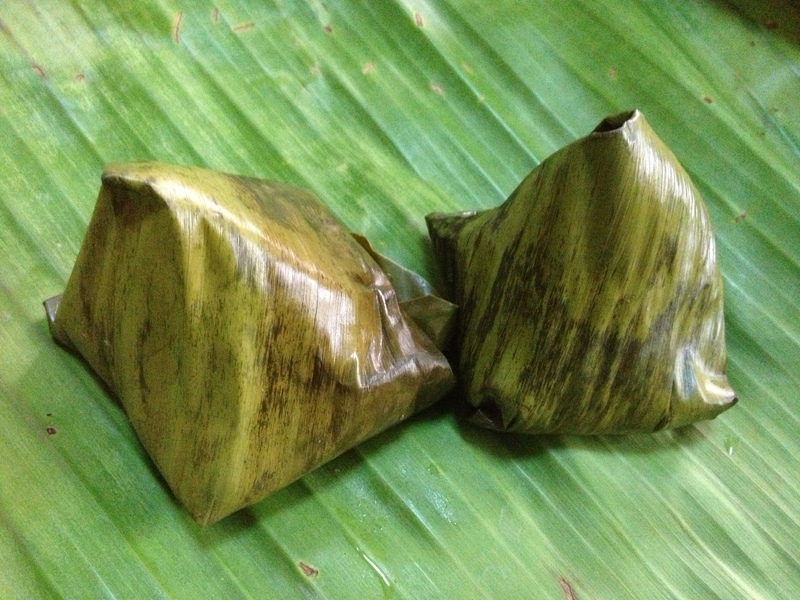 Num Kom is a Rice Cake made with the outer shell of Sticky Rice with a filling of coconut and palm sugar, wrapped in banana leaf and steamed. Originally palm sugar is used as sweetener. 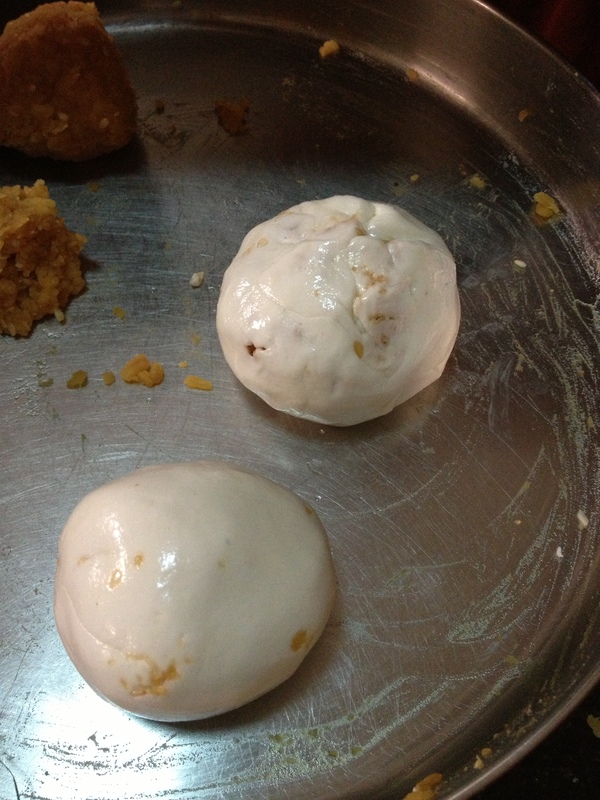 Since I did not have it, I substituted with the home made jaggery syrup which was available. Incidentally, when I made modhakam/poorana kozhukkattai on pillayar chathurthi, there was no jaggery at home as well in the Indian shop I get it from. I could only palm sugar instead. 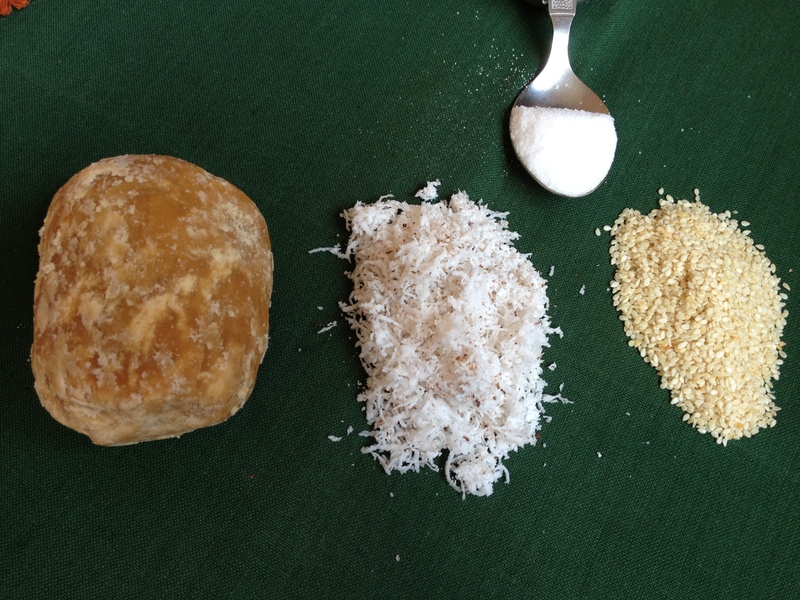 It was meant to be this way I suppose – Indian Kozhukkattai (Rice Dumplings) substituted with palm sugar and Khmer Kozhukkattai (Rice Cakes) with jaggery. 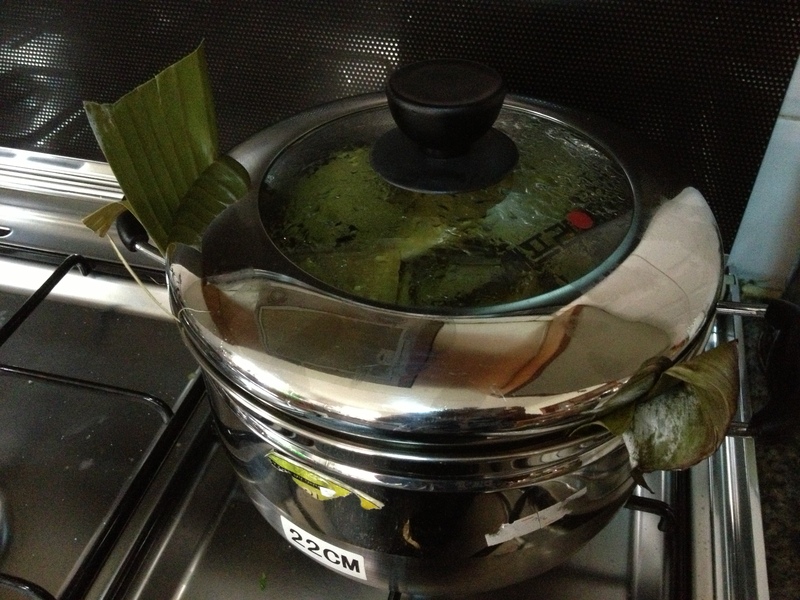 We decided to go for the traditional method of soaking rice and making a paste. 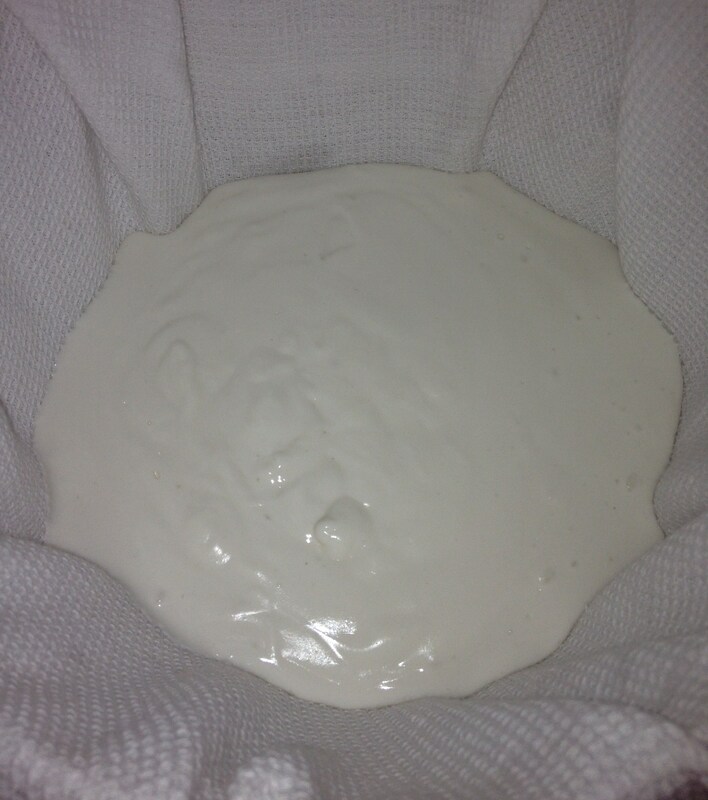 The paste is strained in a netted cloth and the water content remaining in the paste would go. 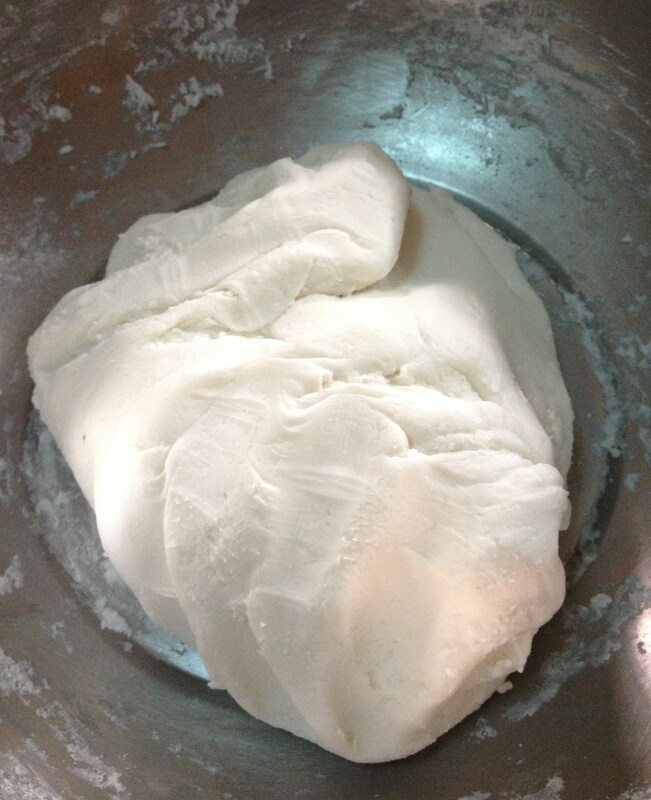 Then, hot water is added to somewhat dry dough to make it easy to wrap the filling inside. In a wide pan, dry roast sesame seeds till slightly brown. Preferably black sesame – but I had white. 9. Do not close it the same side where the leaf looks ‘V’ – but, fold the leaf to close the cake in the middle portion where there is a double slit – now, this is a tricky part I forgot to capture. I was learning to close it and was quite successful too. But no photos please. Shall try again for sure! 10. Done and the cakes are ready to be steamed. Love the tutorial and the photos, and how you could easily adapt the recipe when it wasn’t working according to plan. Yes, it was an interesting task. 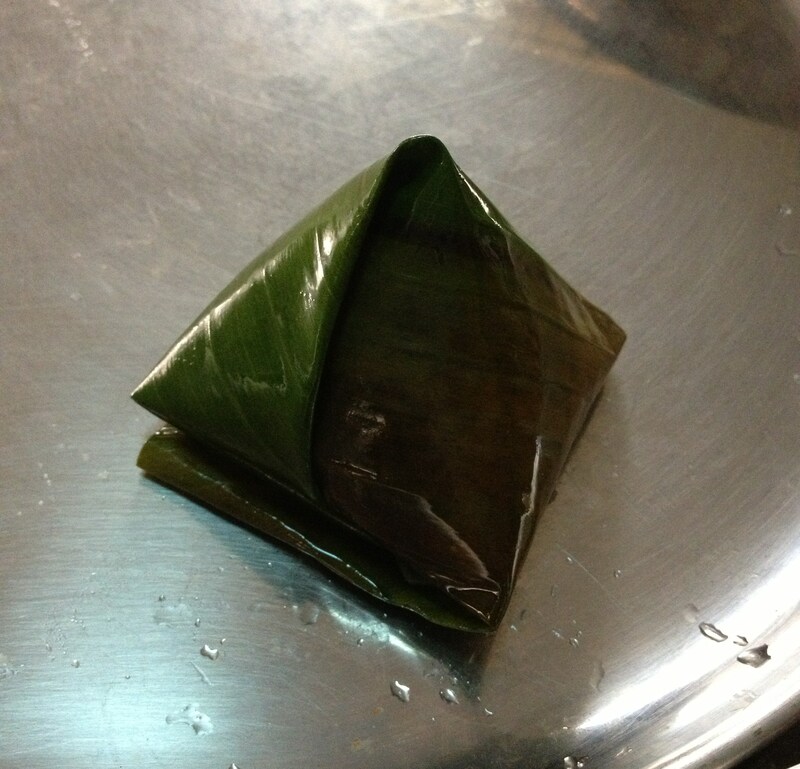 The Cambodian sticky rice is really very sticky and the powder or ground rice gets a nice chewy texture when steamed. The aroma is also distinct. Your article gives a beautiful picture of the life in Phnom Penh. Thanks for the link.